PUTRAJAYA: The Malaysian Anti-Corruption Commission (MACC) has arrested former director-general Malaysian External Intelligence Organisation Datuk Hasanah Abdul Hamid to help in the probe in the latest case of misappropriation of election funds. The senior public officer was arrested when she was called to the MACC headquarters here Tuesday (Aug 28) evening. Georgetown: Tidak ramai yang tahu, Tanjong Tokong antara perkampungan Melayu paling awal di Pulau Pinang. Malah, kerana namanya yang mempunyai perkataan ‘tokong’, ramai beranggapan ia didiami dan dimajukan masyarakat Cina. Aktivis warisan Melayu Pulau Pinang Mohd Salleh Yahaya berkata, nama Tanjong Tokong merujuk kepada bentuk muka bumi kawasan itu yang mempunyai banyak longgokan batu besar di sepanjang pesisir pantai. “Tanjong Tokong sebuah tanjung yang dipenuhi batu gondol dan terjemahan yang tepat bagi Tanjong Tokong adalah Cape of Rocky Islet atau Rocky Promontory dan bukannya Cape of the Temple yang bererti Tanjong Berhala. “Mengikut rujukan, Tokong itu bermaksud batu gondol besar yang tidak mempunyai sebarang tumbuhan yang tumbuh di atasnya. “Penamaan Tanjong Tokong ini juga bersifat 100 peratus Melayu dan tiada kena mengena dengan binaan berhala daripada mana-mana anutan agama,” katanya. Beliau berkata demikian pada Sesi Syarahan Pusat Penyelidikan Dasar dan Kajian Antarabangsa (CenPRIS)-Datuk Jenaton di Universiti Sains Malaysia (USM) di sini, semalam. Mengulas lanjut, Mohd Salleh yang mengkaji sejarah Tanjong Tokong sejak 30 tahun lalu berkata, Tanjong Tokong mula didiami penduduk kira-kira tahun 1600-an. Katanya, kebanyakan penduduk berasal dari Kedah yang terdiri daripada golongan nelayan tradisi. Pulau Salang atau sekarang dikenali sebagai nama Phuket, Thailand sebenarnya mempunyai hubungan secara langsung dari segi sejarah dengan Kerajaan Kedah suatu waktu dahulu. Di ketika Kerajaan Kedah menjadi salah satu Kerajaan yang tunduk kepada kekuasaan Siam ianya menghantar ufti berbentuk bunga emas dan perak kepada Kerajaan Siam. 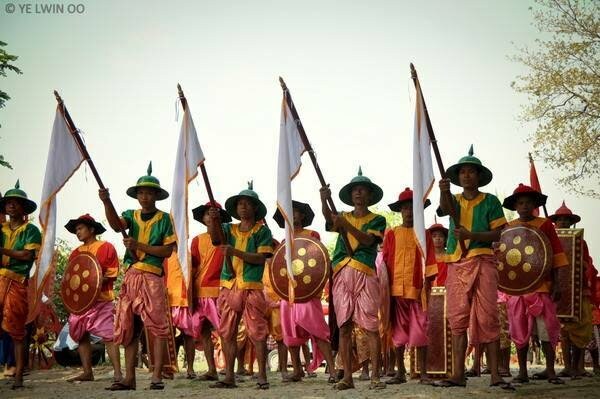 Namun begitu Kerajaan Kedah bukanlah ditadbir secara langsung oleh Siam sebaliknya Kedah diurus oleh satu lagi Kerajaan lama iaitu Kerajaan Legor dibawah pemerintahan Nakhorn Sri Tammarat. Teluk Bahang merupakan pekan kecil yang terletak di bahagian barat laut Pulau Pinang. Empangan Teluk Bahang atau lebih dikenali sebagai Teluk Bahang Dam merupakan sumber air yang utama kepada penduduk di sini. Teluk Bahang merupakan ‘entrance door’kepada para pelancong untuk melawat Taman Negara Teluk Bahang. Sebelum ini dikenali sebagai Hutan Simpan Pantai Acheh. Mengikut sejarah zaman dahulu atau cerita orang tua-tua,Teluk Bahang ialah nama yang telah diberikan oleh penduduknya terawalnya. Mereka yang mula mula meneroka kawasan ini. Mereka datang dari Kedah dan Pulau Langkawi. Ada diantaranya berasal dari Padang Hang, Kedah. Disebabkan hawa di teluk ini sama dengan tempat mereka yang berbahang panas maka ia dinamakan sebagai TELUK BAHANG. Mengikut cerita orang tua tua tempat ini dipilih sebagai tempat tinggal dan perlindungan.Ia sebagai pengkalan orang Kedah melancarkan serangan balas.Ia difikirkan sesuai untuk melakukan tindakan balas terhadap tentera Thai sewaktu perang dahulu. TOK KONI merupakan salah seorang panglimanya yang handal.Kuburnya masih ada. Manakala kubur Osman Bin PANJANG MALIK sudah tidak dapat dikesani lagi.Bagaimanapun kubur-kubur lama orang Aceh yang penah berkampung disini masih terdapat disekitar pantai Telok Duyong, Teluk Bahang..
P.PINANG MAHU BINA BERAPA BANYAK JEMBATAN ? NAMUN TIADA JAMINAN ATASI KESESAKAN LALU LINTAS !!! P.PINANG HADAPI MASALAH KESESAKAN JALAN RAYA YG KETAT. MENGAPA ? TERLALU BANYAK KENDERAAN BERADA DI ATAS JALAN. TERLALU BANYAK RUMAH DIBINA DENGAN KEPADATAN YANG TINGGI DI KAWASAN PUSAT BANDAR.PANTANG ADA TANAH KOSONG MBPP LULUSKAN UNTUK PERUMAHAN KOMERSIAL DAN KONDO MEWAH TERUTAMA MASA 10 TAHUN KN DIPIMPIN OLEH DAP.SEDANGKAN PERUMAHAN MAMPU MILIK UNTUK RAKYAT KURANG DIBERI PERHATIAN. HASILNYA RAKYAT HANYA TERIMA RUMAH MAMPU TENGOK BUKANNYA RUMAH MAMPU MILIK !!! 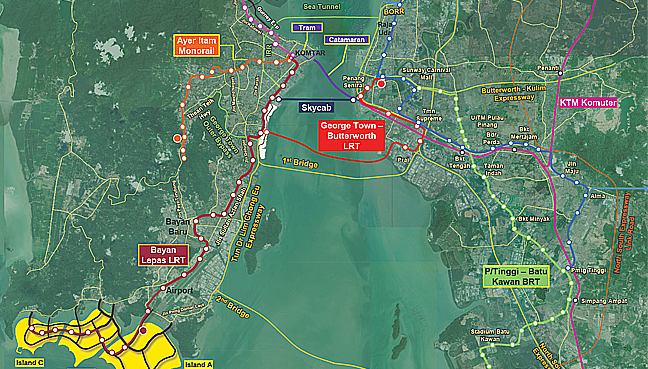 This is the sixth and final article in a series on why the Penang state government should commission an independent review of the RM46 billion Penang Transport Master Plan (PTMP) proposed by the Gamuda-led SRS Consortium. Penang Forum, a coalition of public-interest civil society groups, has been vilified by some quarters with claims that it is opposed to the state’s implementation of a transport master plan. Nothing can be further from the truth. Penang Forum is not opposed to a transport master plan. On the contrary, some members of Penang Forum had initiated and recommended to the newly formed Pakatan Rakyat government in 2008 the need for a comprehensive transport master plan for Penang; following which a Penang Transport Council was established by the state government. Several Penang Forum members were appointed to sit on the council. Below is a summary of five reasons why Penang Forum has called for an independent review of the PTMP. The original reasons for the Penang government’s proposal for an undersea tunnel across the Penang Channel were that the previous Barisan Nasional federal government might not approve a new bridge and did not allow the state to take over the ferry service. These reasons are no longer valid. The state can now work with the federal government to improve cross-channel traffic through upgrading of the existing ferry service or/and by introducing a rail link on one of the existing bridges. These alternatives are much less expensive and more environmentally friendly. The tunnel and the three-paired road projects are mired in controversy with ongoing investigations by the Malaysian Anti-Corruption Commission (MACC) over the high costs of the feasibility studies. The Pakatan Harapan government should not allow itself to be dragged into this controversy and hence should scrap the projects. This would make RM6.4 billion available for a genuinely sustainable transport master plan. 2. The RM46bn SRS plan seems to be more of a property play than a transport master plan. It puts more emphasis on a 4,500-acre land reclamation (three new artificial islands) than a cost-effective sustainable transport plan. It focuses on mega infrastructure without creating an integrated public transport network. Under the RM17 billion first phase, about half (RM8 billion) would be incurred on a 20km six-lane highway, making the plan overly focused on moving cars. This compared to Halcrow’s Plan that estimated a network of trams and buses in the region of RM9 billion. Using proceeds from the sale of reclaimed land to finance mega infrastructure projects is financially risky because of cash flow mismatch between revenue and expenditure. Under the SRS proposal, the state would sell reclaimed land to raise funds for its transport infrastructure spending. But the process of land reclamation to raise funds for the state might take a longer time frame, and that too depending on the property market. This could expose the government to great financial risks, as the relatively small bridging loans to be taken out (RM1 billion to RM2 billion) might be insufficient to cover the RM17 billion first phase of the SRS expenditure. Moreover, SRS has chosen the most expensive public transport modes i.e. LRT (light rail transit) and monorail in contrast to the cheaper BRT (bus rapid transit) and trams proposed by UK-based engineering consultant Halcrow in the original PTMP. The state has not conducted a proper comparative analysis of the financial viability of operating these various possible modes. Concerns have been raised over the projected ridership for the LRT that is vastly inflated and unrealistic. The probable losses from LRT operations could financially burden the state and the people of Penang. The project delivery partner (PDP) model, which was also used by the state in appointing SRS, presents a conflict of interest. Consultants recommending particular modes of transport might end up being involved in the actual construction as contractors, whether directly or indirectly, or as suppliers of materials. It was also discussed in the third article in this series that the request for proposal (RFP) method the Penang government used to appoint PDPs is not an open tender system and hence does not deliver the best value for money for the people. The agreement between SRS and the Penang state government has not yet been signed, and is pending several required approvals from the federal government. As such, no compensation is required if the state does not proceed with the SRS proposal. There is still time left to make things right. For the above reasons, the state should appoint globally recognised, independent consultants and experts in sustainable mobility to evaluate the SRS proposal in relation to the original Halcrow transport master plan. One such agency is the award-winning Institute of Transportation and Development Policy (ITDP), a non-profit organisation which has a 30-year track record in promoting environmentally sustainable and equitable transportation policies and projects worldwide, particularly in medium-income countries. See https://www.itdp.org/ for more information. The consultants’ fees would be fairly inexpensive in contrast to the billions at stake. Lim Mah Hui is a former professor, international banker and Penang island city councillor and Ahmad Hilmy Abdul Hamid is associate professor, USM (technology cluster-transport system). Author adminPosted on August 11, 2018 August 18, 2018 Leave a comment on P.PINANG MAHU BINA BERAPA BANYAK JEMBATAN ? NAMUN TIADA JAMINAN ATASI KESESAKAN LALU LINTAS !!! DALAM GAMBAR INI MASIH ADA RERUMAH DALAM AIR.TEMPAT TERSEBUT IALAH KEDIAMAN PENDUDUK ASAL PRIBUMI P.PINANG.DI MANAKAN IA ? tEMPAT ITU BERDEKATAN DENGAN LAUT IAITU DI BAHAGIAN KAMPUNG YANG PALING DEKAT DENGAN GEORGE TOWN.dI MANA ? IA TIDAK LAIN DAN BUKAN SUDAH TENTU KELAWAI !